On March 26, 2019, Seoul held a public forum with 100 infertile couples and interested Seoul residents. Seoul has been implementing Democracy Seoul to actualize Democracy in everyday life. It essentially enables the city to ▴ take suggestions with a minimum of 500 responses from proposed contents, ▴ promoting public discussion through an open topic selection. The ▴ mayor then responds in person once 5,000 or more are in attendance for the discussion. This proposal is the first in which the mayor has provided a direct response. Women undergoing in vitro fertilization (IVF) due to infertility receive daily abdominal injections that induce superovulation for pregnancy and injections preventing miscarriage for four to eight weeks. They are, however, difficult to inject alone, and even though that which is required on weekends and national holidays, local hospitals refuse to provide services for various reasons. 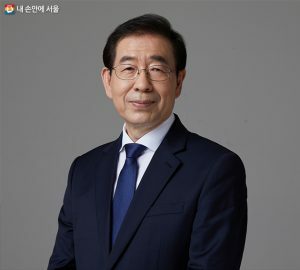 Accordingly, the motion for the availability of fertility shots at credible and easily-accessible community health centers was made official through Democracy Seoul. Based on one-month, online public discussion that opened for one month from December 14, 2018, to January 13, 2019, 5,115 (97%) voted in favor of the motion among 5,259 respondents. Democracy Seoul (http://democracy.seoul.go.kr) provides an online and offline center for discussion through ▴ public proposals, ▴ public discussion, and ▴Seoul Asks. 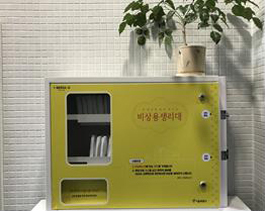 Over 270,000 people participated in 2018, and the results of the citizen discussion for Prohibited Use of Disposable Cups at City Hall and the Installation of Emergency Sanitary Pad Dispensers in Public Facilities were also reflected in Seoul policy.